Have a Compelling Vision in Mind before You Start: Simple. Envision your own school. What quality of education would you provide to the kids? How will your school be placed 10 years down the line? What kind of academic experience would you want to provide to the kids? Conduct a Feasibility Test: Research and study about how feasible will it be when you open a school? Where would it be located? How will you manage your finances? Can you arrange for a good faculty? Prepare a Business Plan: Once you find that opening a school is feasible, develop a business strategy. Jot down your plans and how you would approach and accomplish them. But for sure, do not proceed before you create a business plan, for it will help you to achieve your goals and make sure you plan the alternatives well in advance. Demonstrate Strong Leadership Qualities: You are the one who will be responsible for the functioning of the school. Prepare yourself for the hurdles ahead. Lead the way for others to follow. You have to remain strong and committed if you are to fructify your dreams of opening your own school. Get Professional Help: Starting a school is no mean task. You have to depend on many resources to combine together and form a proper working school. You have to decide on the finance, curriculum, real estate, legal procedures and so on to succeed. The other way is to approach a good education consultancy that will help you from the initial setup to the management so that every task becomes easy and smooth for you. Shri Educare – Education Experts You Can Rely On! As we mentioned above, setting up a school is no cakewalk. But if you have expert education consultants like Shri Educare by your side, rest assured that your dream will turn into a sweet reality. Shri Educare supports you with its comprehensive solution of education, assisting you at every step from the start to the end. With Shri Educare, the dream of starting your own school will turn into a reality! The growth of a country is synonymous with the growth of its youth. The youth defines the path of growth for any country. They need proper education, So the youth of the country needs to be looked after properly. A country like India, where over 50 percent of the 1.3billion population is youth, the care for youth becomes mandatory. Yet, the question arises, are we doing enough for them? Are we taking care of their growing requirements too? Well, the answer is no! No, we are not taking good care of our youth. Their health, education, etc. are not being taken care of adequately. We are not doing enough to get them ready for the future. Over the last century or so, the Indian education system is still the same in its thoughts. Indian teaching methodology has not changed much since the industrial age. Our education system calls for reforms, which will make it apt for future generations. These reforms should be based on the rigorous sample-based learning & assessment of children. Reforms should aim to develop their skills to make them ready for the future. Education must reflect the transformational changes in our life – the way we communicate, collaborate, think, work, network, and celebrate. This change will come when we make changes in our thoughts. These changes are possible only when you let edupreneurs grow. There are many who are interested in bringing quality education within the reach of eager students but are unable to do so because of the hardships they face in opening a school. Hardships, like getting approval for opening school, designing the curriculum, recruiting qualified staff etc. These tasks prevent private investors from investing in schools. They face difficulty in all these areas. They support you in Curriculum design, Human Resource Recruitment, Handling Financial aspects and creating a right mix of plans & policies related to the smooth functioning of school that are the basic requirements for opening an ideal school. Shri Educare Limited (SEL). is engaged in providing end- to- end consultancy services for schools (Pre-school and K12) in India and abroad. Their extensive support ensures that you fulfill your dream of opening a school with the potential & strength to cater to the ever dynamic & changing global needs of the students. However, there is still a lot of potential India holds for further development in the education system. Every day, my inbox gets flooded with numerous messages and the requests from people who are looking for ways to start their own educational startup with a school but get confused between what is meant by own school or franchise school. This dilemma often leads to confusion and an effective school fails to come into existence. To help you understand the concept behind both the aspects, I have brought posted this today so that you can understand what exactly a complete package of these aspects would contain. The very idea of starting your dream project is nothing less than a magical journey, since you know the potential the schools have in their foundation, and apart from the monetary benefits, the strong platform you offer to the next generation. Eventually, starting an independent school is synonymous to start a new business from scratch, A plethora of opportunities for various talents and skills starting come onboard, Being a recession-free sector, it is a great idea to start a school. Something that stops the edupreneur is the lengthy and challenging process, but other lucrative aspects in this venture encourage them further, and it has boosted a lot of investors to come forward to invest in a school. Bearing in mind the benefits of starting a school, you must not forget that there comes a huge amount of responsibilities as well along with it. Take a look at the pros and cons of starting a school. It is a rewarding and profitable venture since it requires a one-time investment. It promises the long-term profits. It offers a sense of satisfaction by serving the society at large. It involves the least number of formalities to kick-start the venture compared to any other business venture. You need to take care of finances, marketing, recruiting, training, drafting the curriculum etc. on your own, to avoid the additional expenses at the initial stage. The number of admissions varies from year to year and depends largely on the popularity and credibility you have built. Competition is HUGE in this field, and it is not going to be just from the existing, but also from the upcoming ventures as well. The permission-granting process from various institutions is a very tedious and time-consuming task. On the other hand, buying or running a franchise is considered a rewarding personal journey, but it has its own set of obstacles and challenges as well. Hence, we suggest you weigh and analyze both the pros and cons of getting a school franchise. Being associated with an established brand name reduces the cost of initial setup and promotion. This model gives less number of financial risk since you are carrying forward the existing brand identity. You get a ready-made curriculum and designed syllabus. You receive initial training, ongoing support and continued inputs to ensure the development of the school. There is a lack of flexibility and you need to adhere to the rules set by the governing educational institution. You have to pay a license fee, training costs, advertising charges, franchise fee, royalty, annually. There is a huge risk of losing the branding, if any branch attains public attention, due to any wrong reason. The education sector is proceeding further with prolific growth and either of the options is not free from its own set of advantages and risk factors. You need to be wise enough to pick the best choice for your concept venture. But, unless you have the guidance from an expert school consultant in India to ensure that the selected option is a comprehensive solution for you to set up a new school, you would always end up picking the wrong option for your venture. Hence, it is not advice, but it is highly recommended that you get the services from one of the best school consultants in India. However is it really that easy to get these services from a professional consultancy firm??? I know it is a hard nut to crack, to get a dedicated and genuine school consultant in India. I am here to suggest a proven consultancy firm, for your school concept and that is none other than Shri Educare Limited (SEL). 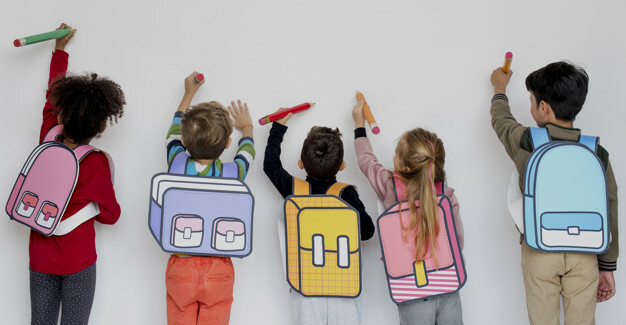 The dedicated professionals from the SEL team would ensure that you are guided and trained with every intricacy involved in the process of starting a school. SEL has a vision of bringing a revolution in the education space and by integrating best practices, they would transform your mere concept into a factual reality. Their team of academic experts, designers, business development team constantly strives to give the best to their clients to help them experience phenomenal growth. Children between the ages of 3-6yrs are like sponges who can absorb much more than what parents can imagine. This time should be utilized to equip the little ones with skills, which they might need in later stages of life. How to give them the required knowledge, skills for the life ahead? At this time, Pre-schools come in handy, but what is Preschool? India has many Preschools. The concept of pre-schooling evolved in India a couple of decades back and has been developing fast in the current scenario. Rising awareness about early childhood education & care along with increasing number of nuclear families & working women population are some of the reasons of the increasing popularity of Pre Schools. With the effect of urbanization, increase in brand consciousness and penetration of many international preschools in the country, parents are aware of what they want for their children and how they want to shape their future too. This has consequently resulted in the emergence of innovative and advanced infrastructure as well as quality education in the preschools across the country. While there are many preschools across various regions in India, very few come under the organized sector, which provides quality education. One of these is The Shri Ram Wonder Years. TSWY is an institution, which engages learners in a joyful, nurturing, and progressive environment. Shri Educare Limited (SEL) has been engaged in providing 360-degree school consultancy services for (Pre-school, K12) in India and abroad. In case you wish to collaborate with Shri Educare Limited, to open a preschool you can get in touch with SEL at www.shrieducare.com. Childhood and youth are a time of learning and training in preparation for life ahead. Young children are naturally curious and observant in nature. They want to learn new skills and due to their quick grasping power they learn things easily and adapt to them quickly, as well. At such a time if they are given proper guidance and encouragement they get to learn things which will stay with them forever. Right values, the right training and right education system will help them lead a successful life. This right education is not available at home. At home, they can learn only a few things. For the overall development of a child, he/she needs to develop the social and emotional skills that are of utmost importance for their future. And these skills get developed when the child is around other children of their age. So, they need to be enrolled in schools. But the most important question is, which one is a good school? One which has a good infrastructure or one that has good teachers or the one that has a list of co-curricular activities? There is a dearth of good schools in India, the one with good infrastructure might not have good teachers, or one with good teachers might not have co-curricular activities, etc. An ideal school is one which has everything in place, but it is not easy to focus on everything at one go. For that one needs to have a consultant on board, who can help one create an ideal school. At such a point, school consultants appear. They provide you with all the necessary support, which is required to start a school. It involves creating budgets, HR policies, marketing, and so many other things. One such educational consultant is Shri Educare Limited (SEL). They are engaged in providing end- to- end consultancy services for schools (Pre-school, K12) in India and abroad. If you have the required amount of money and land, you can collaborate with and receive good ROI in a short span of time. This franchise model is also a very lucrative business model. In case you would like to open a school that is value-based and progressive, please feel free to connect with SEL on the link provided.